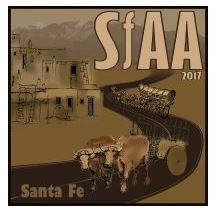 This week on the blog we are highlighting part one of a paper session from the 2017 Society for Applied Anthropology (SfAA) Annual Meeting which took place in Santa Fe, New Mexico from March 28th through April 1st. This session was entitled “Experiences and Identity in Long-term and Chronic Illnesses” and featured Beth Moretzsky, Karen Dyer, Marlaine Gray, and Ellen Rubinstein (full program from the SfAA meeting available here). Here, we present a summary of Beth Moretzsky and Ellen Rubinstein’s presentations. Next week we will feature part two with Karen Dyer and Marlaine Gray. Moretzsky begins by maintaining the term “cancer survivor” is a social category and societal label which does not adequately represent the individuals it claims to include. The label does not encompass the multifaceted, lived experiences of those living with post-cancer treatment and instead conveys a cultural idea of what these individuals can represent to other people. In 2014 the American Cancer Society identified over 14 million living individuals in the United States who received a cancer diagnosis at some point in their lives. Moretzsky states that as we think about how to reach, support, and provide services for this population that has unique medical and social needs, we need to understand how this term “cancer survivor” is interpreted. We also need to appreciate how people who have had cancer respond to this label frequently used by non-profit organizations and the medical community. Life after treatment for cancer is a period of complicated uncertainty. Rather than a unified “survivorship” experience which is often portrayed by the media, Moretzsky’s fieldwork examines how people characterize their own lives post-treatment. Between June and August of 2016 Moretzsky conducted 19 interviews with individuals who had completed treatment for several types of cancer. Her goal was to determine how participants conceptualize the idea of “cancer survivorship,” whether or not they thought of themselves as a “cancer survivor,” and how stories of experiences, treatments, and diagnoses were carried into the present. Three main findings of Moretzsky’s research state that “cancer survivor” was rejected as a useful category because of (1) a confusing biological and medical usage, (2) a tendency to define people solely on their illness, and (3) because of various social implications of the term’s usage. Many people merged “cancer survivor” as a biomedical term, indicating a stage in the medical process, with a colloquial label for individuals who had undergone this diagnosis. The line between the social and medical categories often blurs, revealing a meaning- and value-laden term with little practical use. Yet no one can seem to agree upon who falls within the category. Moretzsky asks, who gets to define and speak about illness for these individuals? In this research, the discomfort over the use of the “cancer survivor” term came up time and time again. Cancer “survivors” are represented as heroes who have triumphed over this illness, perpetuating problematic notions of who gets defined as a survivor, as well as the negative social impacts of applying this label. Moretzsky argues the label placed onto people disregards the experiences of those individuals. The public’s support of individuals battling cancer conjures up the image of a successful warrior rather than an individual with a complex daily experience. The models of success paints “survivors” as strong, optimistic, and successful, even if those individuals do not see themselves in those narratives of triumph. Moretzsky states that not all individuals with a history of cancer view themselves as the pink warriors that the media shares every October. While some participants stated they felt driven to become better people as a result of their cancer, almost as if they needed to fill our societal search for heroes, others strongly resisted this categorization as a “cancer survivor.” The latter often argued against problematic notions that there was something special about them that warranted their persistence, saying the model should instead be: “Don’t be a hero. Ask for the help you need.” These varying responses to treatment contradict the notions of “surviving heroically” and suggested complexity and diversity to human experiences. Additionally, for many with lingering side effects, financial problems, and emotional complications, this term “cancer survivor” signified a success that may never be achieved, and misrepresented the challenges they continue to face long after treatment completion. This research suggests that many organizations, particularly those providing post-treatment services for cancer, should critically assess their language. If “cancer survivors” do not identify in that way, it limits the reach of organization marketing to this population, potentially missing many of the people they are trying to help. Further, there is a distinction between “I have” and “I am” diseases. “I am” encroaches on an individual’s self-identity categories. Cancer “survivorship” falls into a similar category: “I have” cancer during an active treatment, but “I am” a cancer survivor. In the transition from active treatment to follow-up care, going from having a disease as part of the body to occupying a medically and clinically delineated subject position, this one medical event now defined them. Rubinstein discusses that many people survive other sickness events yet are not referred to as “survivors.” One participant states she has a history of mononucleosis and hypertension, yet has never been referred to as a “mono survivor” or “hypertension survivor.” Identifying as a “cancer survivor” overshadows the remainder of individual complexity. Rubinstein argues the medical community is so steeped in cancer rhetoric that when a patient complains of various maladies, such as sexual dysfunction or weight gain, the immediate or inevitable response is that “these are well-known late and long-term effects of cancer and its treatments.” In making this assumption however, clinicians have already ignored what the patient is saying. If the patient does not identify their symptoms as being related to their cancer, then what is the benefit of forcing them to interpret their symptoms in that way? Part of this framing of symptoms stems from a political and economic necessity for identifying cancer “survivors” as a unique population with distinct medical needs. Making a kinship of individuals who have experienced cancer, contrasted against those who have not, makes them a large and powerful constituency. Yet cancer in reality is slippery, chaotic, and constantly being redefined. Experiences and outcomes vary widely, making it impossible to group together the vast array of subjectivities into one entity. Rubinstein argues that current biomedical discourse does a poor job of capturing complex and diverse lived experiences. Rubinstein concludes by asking if an individual does not consider themselves as a “cancer survivor,” then what are the broader implications for their health and well-being when clinicians insist that their current problems are the direct result of their cancer or cancer treatment. How much does etiology matter in the moment of the clinical encounter, and how much does it influence a patient’s future relationship with their primary care physician? Rubinstein states that in de-emphasizing the “survivor” in primary care conversations, we recognize that a history of cancer is only one set of concerns among many. Part two of “Experiences and Identity in Long-term and Chronic Illnesses” featuring Karen Dyer and Marlaine Gray will continue next week. The Culture, Medicine & Psychiatry editorial team sends our greetings this week from the Society for Applied Anthropology 2017 Annual Meeting in Santa Fe, New Mexico. This year’s meeting will be held March 28th – April 1st, with session listings and other helpful information available here. We hope all of our readers attending the conference have safe travels to– and many productive conversations at– this year’s meeting. This year’s theme is “Trails, Traditions, and New Directions,” embracing the Santa Fe location as a place steeped in centuries of traditions, where Native histories reach back 10,000 years and follow paths through time and across geographical space. Metaphorically, this theme highlights the importance of understanding the history and intended destination of those “theoretical trails” that we follow when engaging our community partners, methodology, and active interpretations. Presentations that approach current issues from a historical perspective—including health disparities, energy and climate change, interpreting culture—or any of our broad concerns are encouraged, as is work that critically examines the motivations that have guided social science research and practice in the past. Highlights from this conference will be featured on the blog next week. This week we’re featuring a summary of The 2017 Biennial Meeting of The Society for Psychological Anthropology Breakfast Lecture. This year, the Breakfast Lecture presented a conversation with the 2016 Lifetime Achievement Awardee, Richard Shweder, and the 2017 Lifetime Achievement Awardee, Byron Good. In this event, Dr. Shweder and Dr. Good reflect on morality and “the mental” in both Cultural Psychology and Psychological Anthropology, discussing how profoundly different worlds still share some moralities and orientations. They also discuss some critical challenges and opportunities for psychological anthropology. By interviewing each other, a foundational technique in anthropology itself, Dr. Shweder and Dr. Good explore their past works, theoretical orientations, and their anticipation of where anthropological explorations of psychological processes are heading. The conversation begins with Dr. Good asking Dr. Shweder to “tell us about your history.” Dr. Shweder delves into his upbringing in Great Neck on the north shore of Long Island, at the time an emerging suburb with a very progressive, left-wing population. He discusses the first time he heard the word anthropology in his 11th grade English class when “Mr. Beal” said, “for any of you who don’t know what to do in life, there’s this thing called anthropology.” After graduation Dr. Shweder went to the University of Pittsburgh where Dr. Arthur Tuden, an Africanist and Cultural Anthropologist, taught his Introduction to Anthropology class, bringing in the study of culture with current events and ultimately solidifying Dr. Shweder’s path in Anthropology. From Pittsburgh, Dr. Shweder progressed to Harvard, where he states several figures had an impact on his intellectual growth, including Cora DuBois and John Whiting. After finishing his Ph.D. at Harvard, Dr. Shweder taught at the University of Nairobi in Kenya before finally landing at the University of Chicago. Dr. Shweder follows up with a discussion that anthropologists are supposed to fairly represent the groups they study; to try to portray their way of life in a way that the people the anthropologist is writing for might see them not as “exotic aliens,” but as morally sensitive persons who do things for recognizable reasons. Dr. Shweder proposes the conspicuous use of the notion of “oppression,” or seeing the social order as oppressive, combined with the now popular term “agency,” suggests that to have agency was to be opposed to culture. Thus, for Dr. Shweder, the concept that there might be people whose agency was used to carry forward a cultural tradition which was in a framework where they felt they could be fulfilled, was gone. “When I went to India I was in a world where if I approached it as ‘a good liberal,’ assuming everything is free choice and the world is there to satisfy my preferences, I would have seen it as an oppressive order. Yet the people who live there, for the most part, feel quite at home with rich, meaningful lives,” Dr. Shweder states. Building off the discussion of morality, Dr. Good then engages with concepts of morality and oppression. Dr. Good states that for him, the experience of morality is often an experience of oppression. He expresses that many people spend at least parts of their lives resisting or fighting against morality, feeling that the moral system around them is actually an oppressive system causing them to live their lives “wrongly” within it. It seems to Dr. Good that reading ethics with a grand “they” or a grand “we” misses, ethnographically, another side of the story. Dr. Shweder responds that there is a multiplicity of the moral world. The moral world has many goods and desires that are in conflict with each other, and one cannot have them all. This sets up the dynamic of resistance since the system of conflict and prioritization pushes alternatives to the side. Dr. Shweder states that within any society there is the orthodox and the heterodox, that which is center stage and that which is done covertly. The mistake is to privilege one ethic over another, to act as if that privileging itself is not a choice or commitment, or to label the ethic of autonomy as the “natural way” in which anyone who is fully enlightened will ultimately go. Dr. Shweder cautions against the view of “liberalism as destiny,” where there are stages of moral development, the height of moral development being an autonomous, individualized person or society. Dr. Good then discusses his personal and academic history. He starts by commenting that his childhood and upbringing couldn’t have been more different than Dr. Shweder’s, growing up on a Mennonite farm in the Republican mid-west. Dr. Good spent much of his life feeling that religion and divinity grounded and oriented aspects of his academic life. “I don’t romanticize ethical norms if they, over time, have become more and more interested in controlling our lives in ways that we have very little direct knowledge of,” Dr. Good states. “I don’t romanticize suffering.” While at Goshen College in Goshen, Indiana, Dr. Good started studying mathematics before spending a year at the University of Nigeria. Dr. Good expressed this time as having a powerful impact which changed his life. “My worldview became profoundly different,” he states. Coming back from Africa convinced that there had to be something more than mathematics, Dr. Good decided to go to Harvard Divinity School. It was there that he began taking courses in anthropology and religion. Attending the University of Chicago for his Ph.D., Dr. Good states his first year at Chicago was Clifford Geertz’s last year. Yet even after Geertz left, Dr. Good still considered him a mentor and inspiration. This was also a very political moment for universities and the country in general. Dr. Good describes how he came of age in anthropology in a time of the Vietnam War, in a time of activism, and in the time of the Civil Rights Movement. These were all very powerful influences on how Dr. Good conceptualized the importance of anthropology. Discussing his research, Dr. Good describes the time he spent in a genuinely post-colonial conflict setting of Aceh, Indonesia. He became very aware of colonialism and its colonial history and how it had impacted political life along with a diverse set of religious and cultural influences. It was a setting that had a history of tremendous violence. “It was my first experience of working in areas of really intensive conflict,” Dr. Good states, “and I have to say that I went home from that experience very affected by listening to stories of violence.” Terms like “post-colonialism” and “post-colonial subjectivity,” and even terms like “haunting” and “hauntology” became central to his vision of what Psychological Anthropology can be today. Dr. Good poses the question of how one does Psychological Anthropology in settings of violence. “My thinking about hauntology started off with being in Aceh, and thinking about what Aceh was like post-tsunami and post-conflict,” Dr. Good remarks. Aceh was a place where ghosts and spirits of the dead were everywhere, alongside the ghosts of the recent violence and the emergence of political gorillas who had been previously hidden away. “Suddenly Aceh was no longer in the midst of a war and people who had been fighting were coming back and appearing in everyday life,” Dr. Good explains, “and I began thinking about post-authoritarian Indonesia and why it is that there are certain moments in a society that ghosts begin to appear in a very powerful way, and ghosts that are related to historical violence.” Dr. Good became fascinated with the relationship between historical memory, histories of violence, how they make themselves present, and how they reintroduce themselves in psychological experience. To wrap up the Breakfast Lecture, Dr. Shweder discusses how the issue of nationalism is front and center in a very powerful way at the moment. He suggests that anthropologists should be qualified to talk about the ethno-national impulses people are facing and examine why it is that some people feel like their way of life, or their control over their life, is being threatened by globalization, for example. He calls on anthropologists to give a native point of view instead of simply reacting with fear and mainstream ideology. “This is anthropology. There are in-groups and there are out-groups. People have ways of life and traditions; they want to exercise control over their way of life. This has to be examined,” Dr. Shweder states. He further discusses that one of the things that’s exceptional to the United States is that we are a nation in which constitutional patriotism is the binding feature. In principle, that means there is space for cultural diversity. “The ways in which tyranny can be built up and balanced through distribution of power are all rich topics right now. Immigration. Making sure we represent minority views in a way that majority groups understand them and why the way they live is both meaningful and justifiable.” Dr. Shweder finishes by stating that there are also threats to anthropology from within. He warns against a “liberal tyranny” which can be compared to a “white-man’s-burden-style” of thinking with regard to cultural differences. Dr. Shweder sees this as using the notion of oppression or exploitation as an excuse for interventions into other people’s ways of life rather than starting by seeing whether or not one can understand other practices and social organizations in a morally-motivated way. Dr. Good closes the conversation session by encouraging anthropologists to be engaged in both theoretical debates within the discipline as well as policy and implementation projects and practices which can benefit the people in the communities we study. Richard Shweder is the Harold H. Swift Distinguished Service Professor of Human Development in the Department of Comparative Human Development at the University of Chicago. He is the author of Thinking Through Cultures: Expeditions in Cultural Psychology (1991) and Why Do Men Barbecue? Recipes for Cultural Psychology (2003), both published by Harvard University Press. 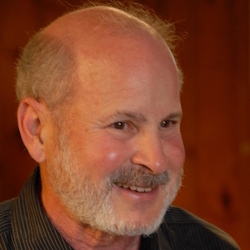 Dr. Shweder is also an editor or co-editor of many books in the areas of cultural psychology, psychological anthropology, and comparative human development. For more information on Dr. Shweder, visit his page at the University of Chicago here, as well as the Society for Psychological Anthropology 2017 Biennial Conference Breakfast Lecture website, available here. 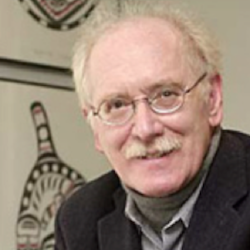 Byron Good is a Professor of Medical Anthropology at, and former Chair (2000-2006) of, the Department of Social Medicine, Harvard Medical School, and Professor in the Department of Anthropology, Harvard University. Dr. Good is director of the International Mental Health Training Program, funded by the Fogarty International Center to train psychiatrists from China in mental health services research. Dr. Good’s broader interests focus on the theorization of subjectivity in contemporary societies, focusing on the relation of political, cultural, and psychological renderings of the subject and experience, with a special interest in Indonesia. He is the editor or co-editor of many significant volumes, books, and is a former editor-in-chief of our Culture, Medicine, and Psychiatry journal (1986-2004). For more information on Dr. Good, visit the Harvard Medical School Department of Global Health and Social Medicine website here, as well as the Society for Psychological Anthropology 2017 Biennial Conference Breakfast Lecture website, available here. The Culture, Medicine & Psychiatry editorial team sends our greetings this week from the Society for Psychological Anthropology 2017 Biennial Meeting in New Orleans, Louisiana. This year’s meeting will be held March 9-12th, with session listings and other helpful information available here. We hope all of our readers attending the conference have safe travels to– and many productive conversations at– this year’s meeting. As a reminder, we continue to accept guest blog submissions on topics spanning cultural medical anthropology and related disciplines in the social sciences and medical humanities. Consider submitting an abbreviated version of your SPA conference presentation as a guest blog, or write a commentary on one of the keynote speeches at the event. We look forward to sharing the work and research of our readers with our colleagues on the blog! If you are interested in submitting a guest blog, please contact social media editor Sonya Petrakovitz at smp152@case.edu for details.